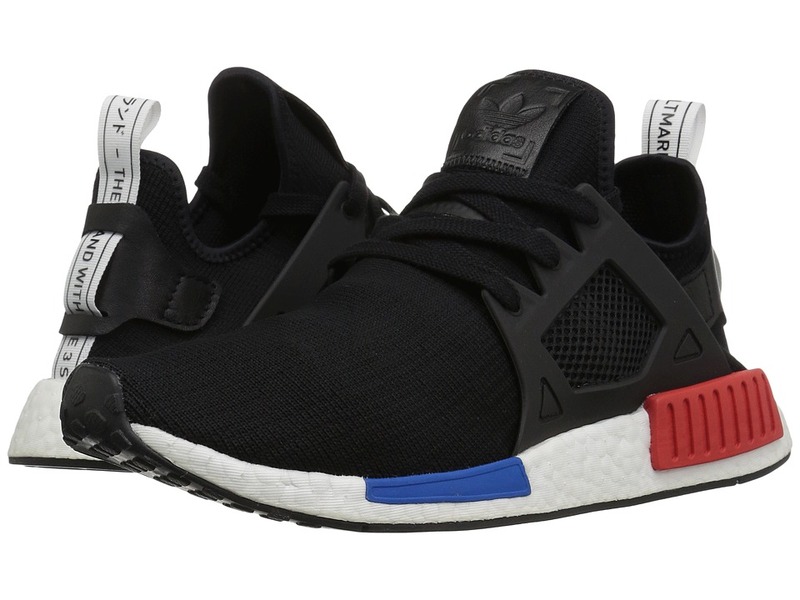 From the gym to the streets, take on the day in modern style and innovative tech with the unrivaled adidas Originals NMD_XR1 PK shoe! 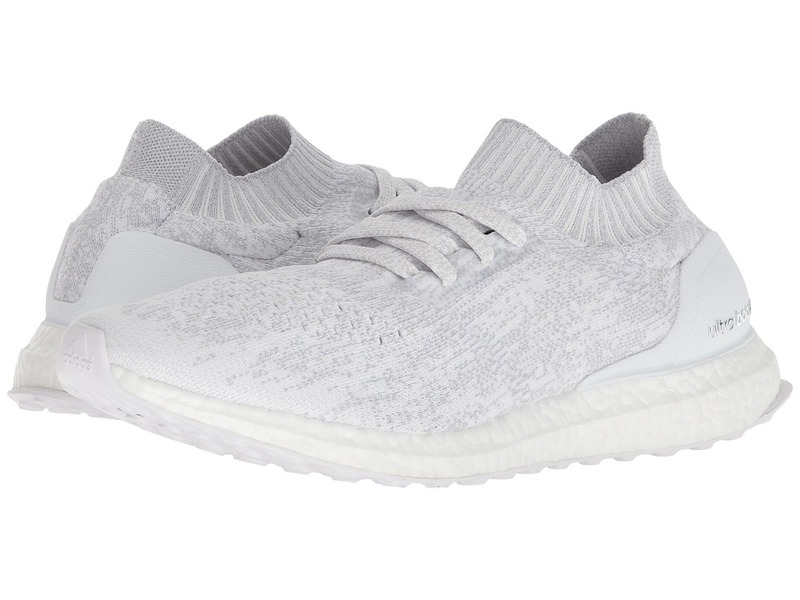 Premium breathable knit upper. Textile lining for optimum breathability. Sock-like construction. Milky TPU midfoot cage. 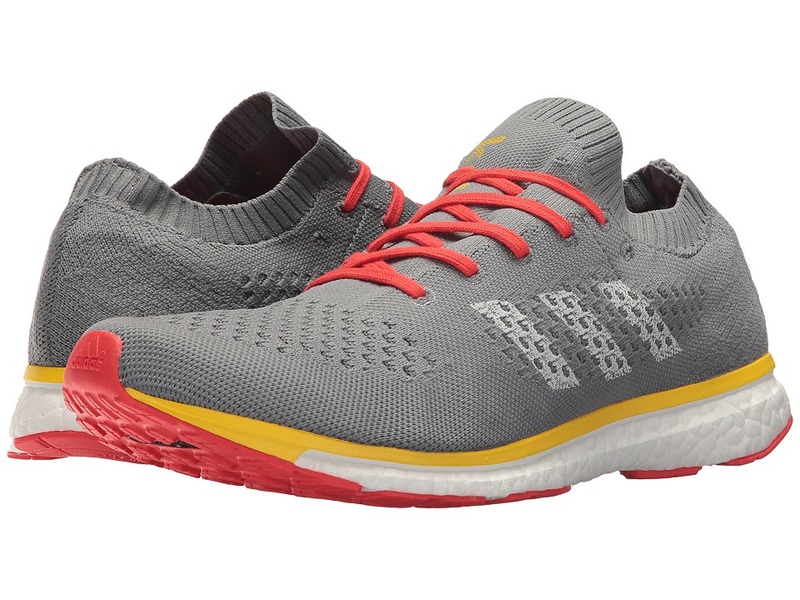 boost midsole offers responsive cushioning for all-day comfort. Molded EVA midsole plugs for a NMD aesthetic. Reflective heel patch detailing. Rubber outsole for durable wear. Imported. Weight of footwear is based on a single item, not a pair. 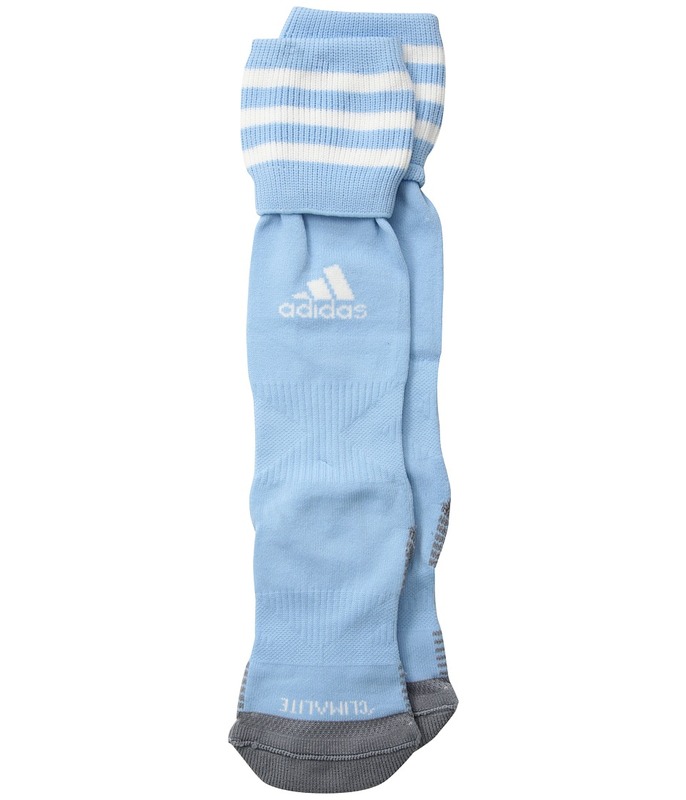 Put your head in the zone in the adidas Copa Zone Cushion III OTC Sock. Sold as a one-pair pack. Over the calf height provides extended coverage. climalite fabric sweeps sweat away for your skin for ultimate comfort. 3-Stripes logo detail on the cuff and adidas brandmark around the ankle. Toe-cooling channel for added ventilation and breathability. Added compression in ankle and arch. Y-stitch heel. Targeted cushioning on footbed for shock absorption. 98 percent nylon, 2 percent Lycra. Machine wash cold, tumble dry low. Imported. 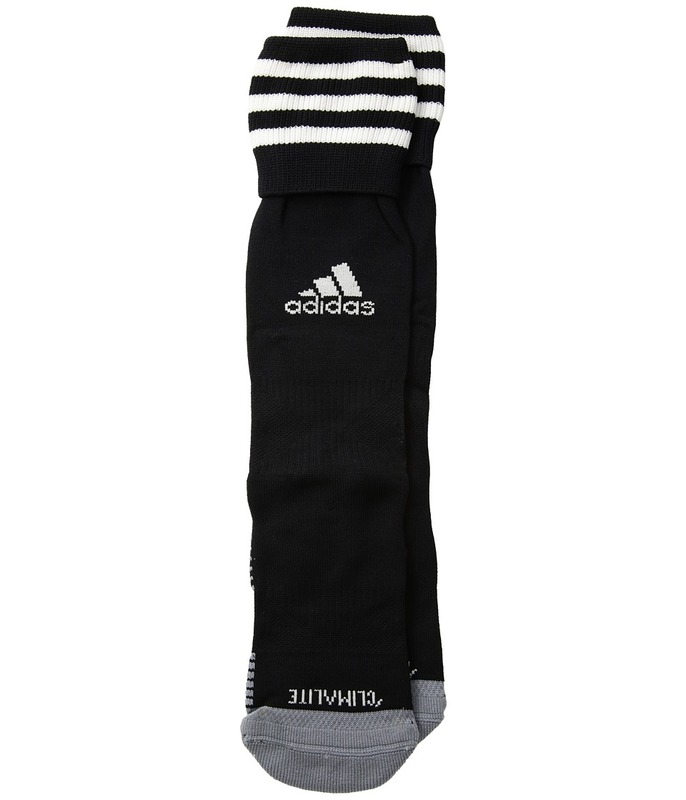 adidas Kids boost their performance with the Copa Zone Cushion III OTC Sock. climalite fabric sweeps sweat away for your skin for ultimate comfort. Toe-cooling channel for added ventilation and breathability. Targeted cushioning on footbed for shock absorption. Added compression in ankle and arch. 3-Stripes logo detail on the cuff and adidas brandmark around the ankle. 98 percent nylon, 2 percent Lycra. Machine wash cold, tumble dry low. Imported. 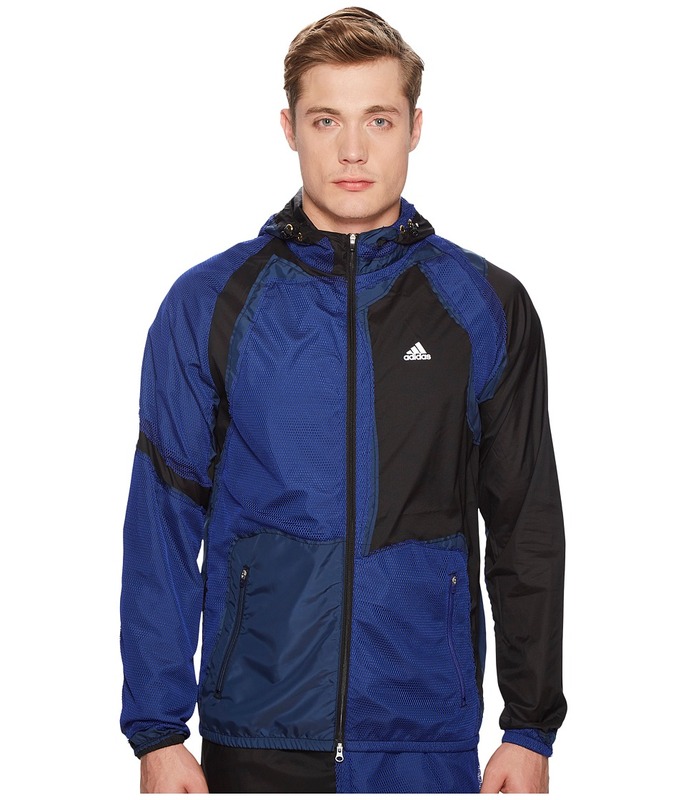 You~re a star in your own right wearing this sporty Decon Wind Jacket from adidas x Kolor. Hooded design with adjustable toggles. Front-zip placket. Long sleeves with mesh overlay and elastic cuffs. Logo at the left chest. Front zipper hand pockets. Exterior zipper pocket at the hem. Straight hemline. 89 percent polyamide, 11 percent elastane. Lining: 100 percent polyester. Machine wash cold, line dry. Imported. This item may ship with an attached security tag. Merchandise returned without the original security tag attached or a damaged tag may not qualify for a refund. Measurements: Length: 29 in Chest Measurement: 19 in Sleeve Length: 37 in Product measurements were taken using size LG. Please note that measurements may vary by size. 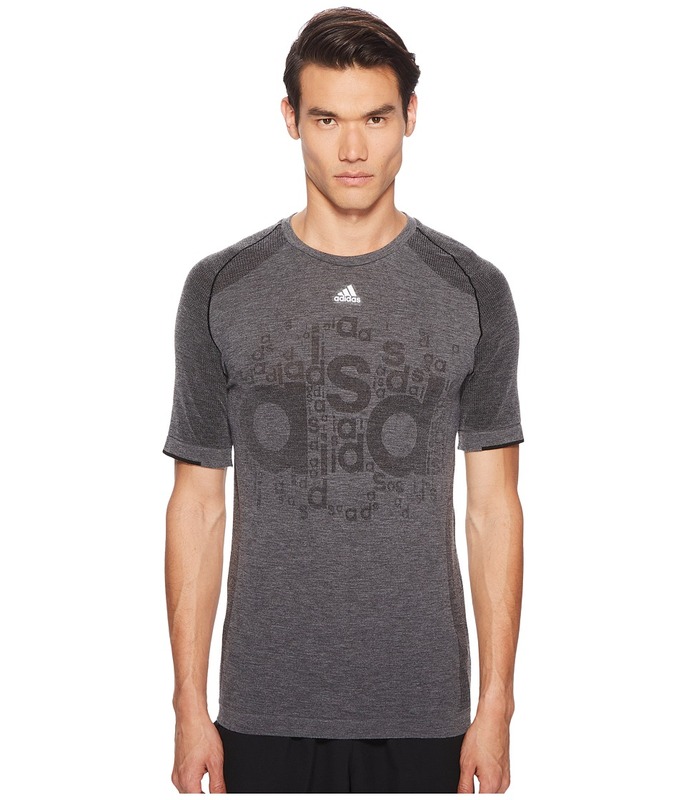 You~re a star in your own right wearing this Primeknit Tee from adidas x Kolor. Crew neckline. Logo at the chest. Short sleeves. Pull-on design. Straight hemline. 39 percent wool, 35 percent polyester, 26 percent polyamide. Machine wash cold, line dry. Imported. This item may ship with an attached security tag. Merchandise returned without the original security tag attached or a damaged tag may not qualify for a refund. Measurements: Length: 30 in Product measurements were taken using size MD. Please note that measurements may vary by size. 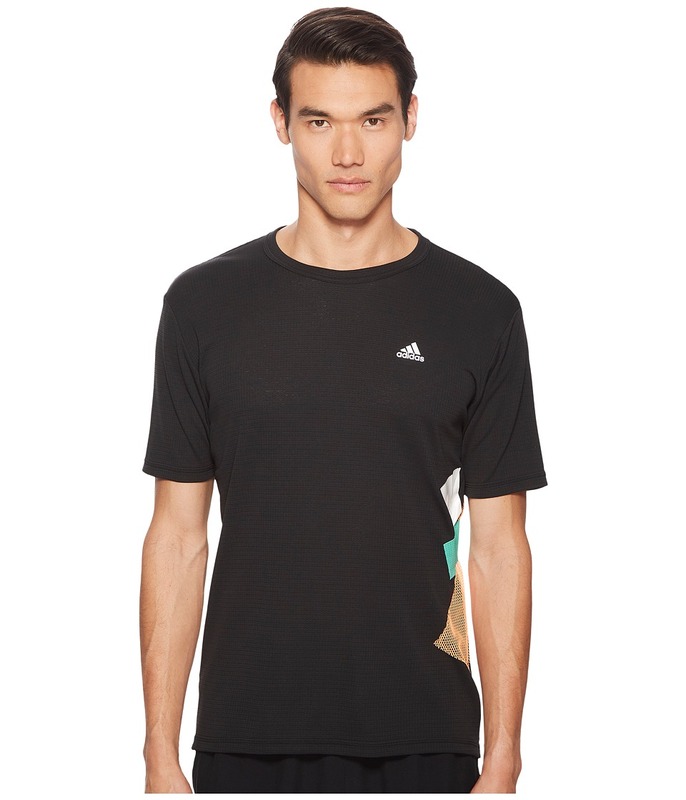 You~re a star in your own right wearing this Climachill Short Sleeve Tee from adidas x Kolor. Crew neckline. Logo at the left chest. Short sleeves. Mesh graphic at the left side. Pull-on design. Straight hemline. 64 percent polyester, 36 percent recycled polyester. Machine wash cold, line dry. Imported. This item may ship with an attached security tag. Merchandise returned without the original security tag attached or a damaged tag may not qualify for a refund. Measurements: Length: 30 in Product measurements were taken using size MD. Please note that measurements may vary by size. 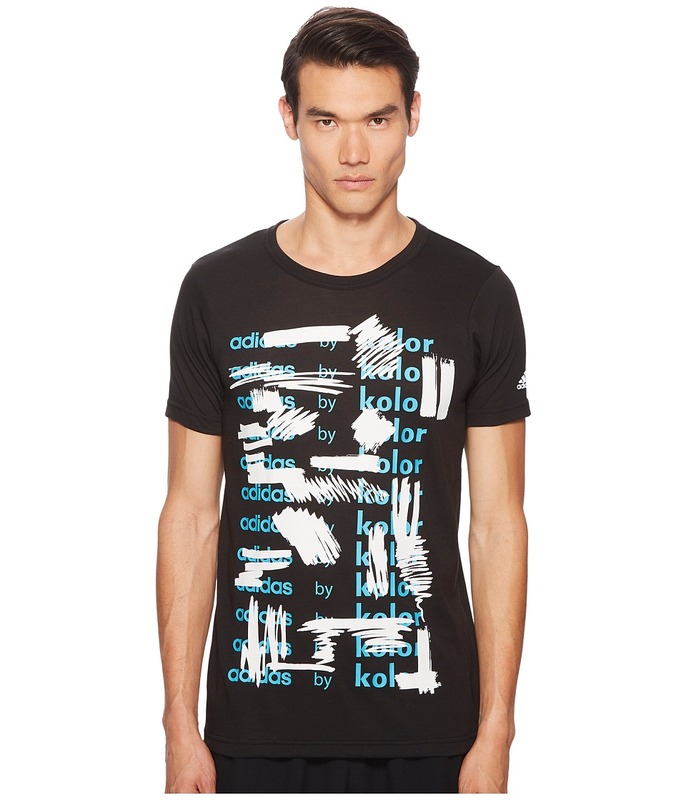 You~re a star in your own right wearing this Graphic Tee from adidas x Kolor. Crew neckline. Logo across the front. Short sleeves. Pull-on design. Straight hemline. 80 percent polyester, 20 percent cotton. Machine wash cold, line dry. Imported. This item may ship with an attached security tag. Merchandise returned without the original security tag attached or a damaged tag may not qualify for a refund. Measurements: Length: 30 in Product measurements were taken using size MD. Please note that measurements may vary by size. 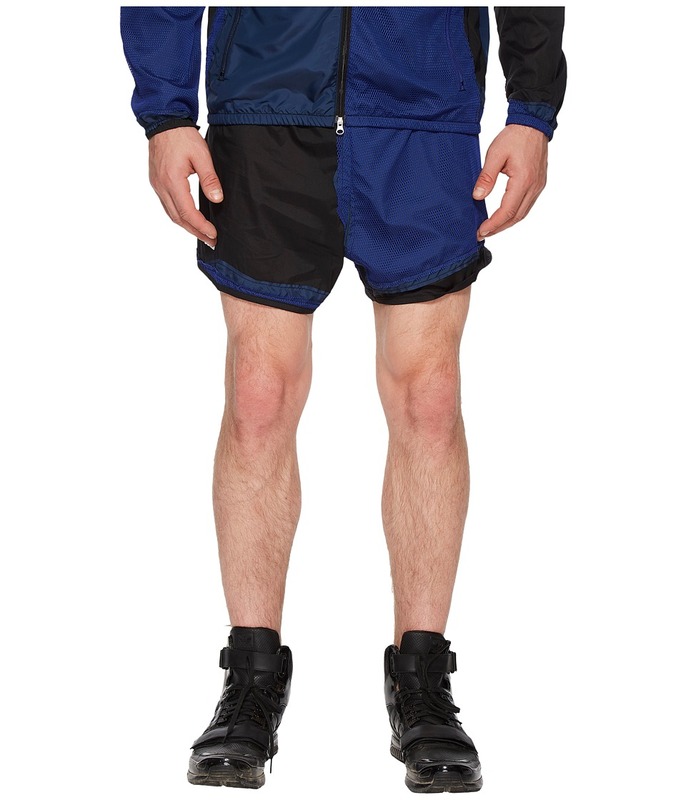 You~re a star in your own right wearing these Decon Shorts from adidas x Kolor. Elastic waistband with drawstring ties. Single back-zipper pocket. Color blocked design. Kolor logo at the back waist and leg. Straight hemline. 89 percent nylon, 11 percent elastane. Emblem: 100 percent polyester. Machine wash cold, line dry. Imported. This item may ship with an attached security tag. Merchandise returned without the original security tag attached or a damaged tag may not qualify for a refund. Measurements: Waist Measurement: 32 in Outseam: 14 in Inseam: 5 in Front Rise: 12 in Back Rise: 17 in Leg Opening: 28 in Product measurements were taken using size MD. Please note that measurements may vary by size. 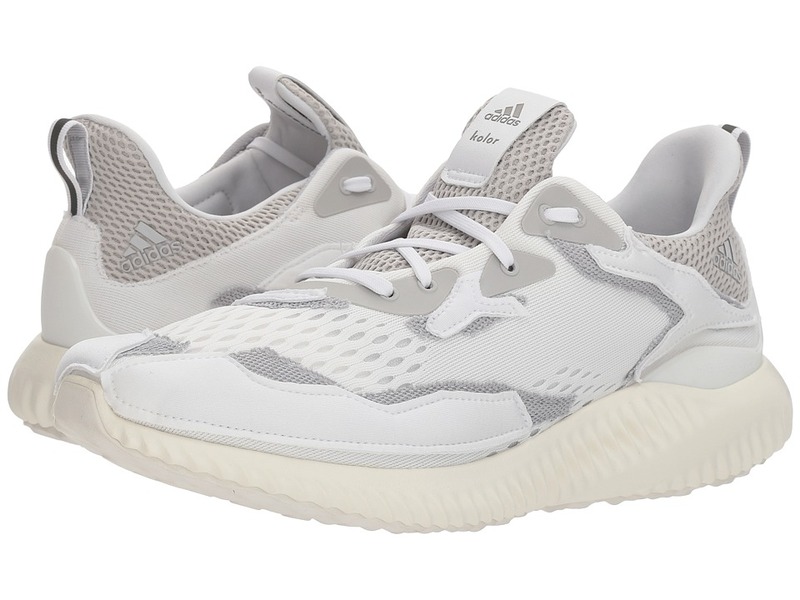 Power up wearing the stylish and eye-catching adidas x Kolor Alphabounce 1 Kolor sneakers. Mesh and leather upper. Lace-front closure with blind eyelets. Plain-toe sneaker silhouette. Kolor logo at the tongue. Textile lining. Lightly cushioned insole with Kolor logo. Synthetic outsole. Imported. This item may ship with an attached security tag. Merchandise returned without the original security tag attached or a damaged tag may not qualify for a refund. Measurements: Weight: 13 oz Product measurements were taken using size UK 10.5 (US Men~s 11), width M. Please note that measurements may vary by size. Weight of footwear is based on a single item, not a pair. Power up wearing the stylish and eye-catching adidas x Kolor Adizero Prime Kolor. Knitted textile upper. Lace-front closure. Plain-toe sneaker silhouette. Textile lining. Three stripes at the sides. Lightly cushioned insole with Kolor logo. Synthetic outsole. Imported. This item may ship with an attached security tag. Merchandise returned without the original security tag attached or a damaged tag may not qualify for a refund. Measurements: Weight: 8 oz Product measurements were taken using size UK 10.5 (US Men~s 11), width M. Please note that measurements may vary by size. Weight of footwear is based on a single item, not a pair. 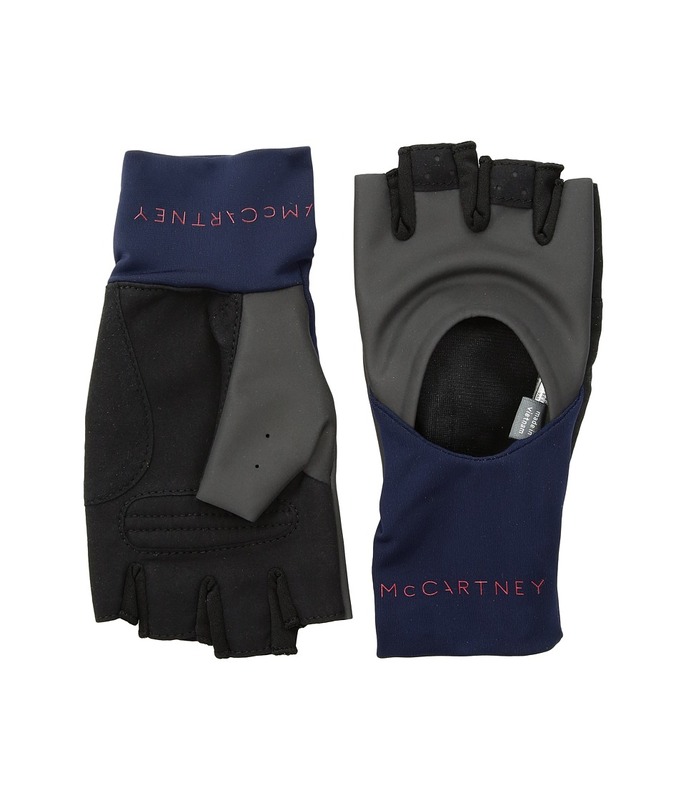 Perfect for strength-based workout classes, the adidas by Stella McCartney Training Gloves will keep you looking fab while getting your work in. Fingerless gloves. Padded palms. Color blocked with reflective material on backhand. Pull loops on fingers allow for easy removal. Brand name and logo on cuffs. 60 percent nylon, 40 percent polyurethane. Do not wash. Imported. This item may ship with an attached security tag. Merchandise returned without the original security tag attached or a damaged tag may not qualify for a refund. 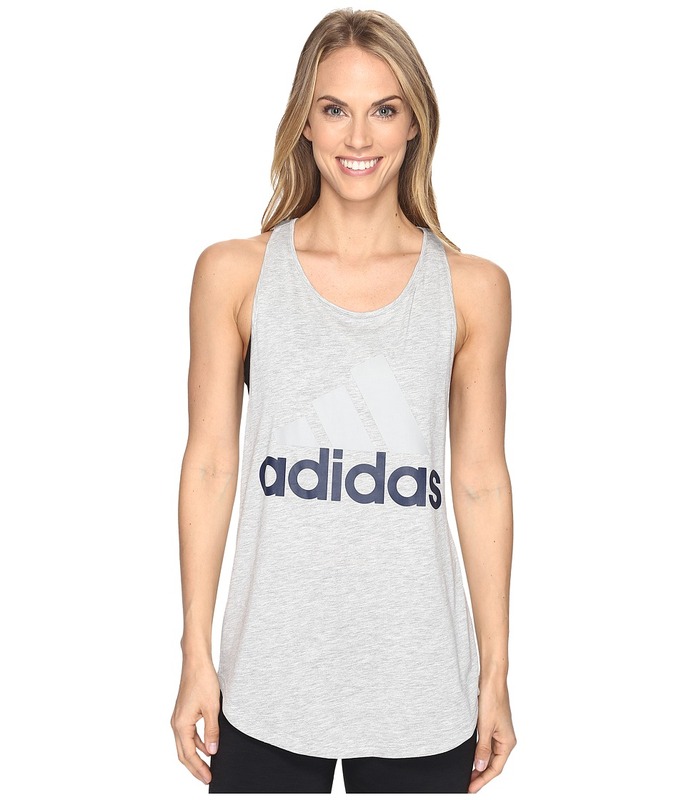 Get in the fast lane to sweet style in the adidas Essentials Linear Loose Tank Top. Relaxed tank in a racerback silhouette. Round neckline. Sleeveless design. Brand name and logo printed at chest. Straight hemline. 50 percent recycled polyester, 25 percent cotton, 25 percent rayon. Machine wash cold, tumble dry low. Imported. 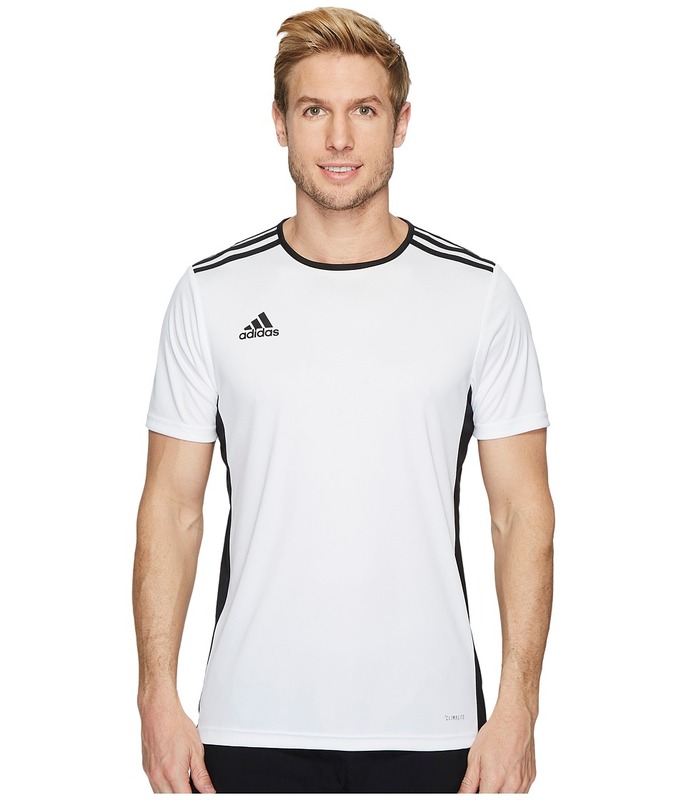 Work or play smart in the adidas Entrada 18 Jersey! CLIMALITE material wicks moisture away from the skin to keep you cool and dry. Anti-odor treatments provide permanent odor protection by inhibiting the growth of bacteria and mildew in the fabric. Crew neckline. Short sleeves. Straight hemline. 100 percent polyester. Machine wash warm, do not tumble dry. Imported. Measurements: Length: 29 in Product measurements were taken using size LG. Please note that measurements may vary by size.